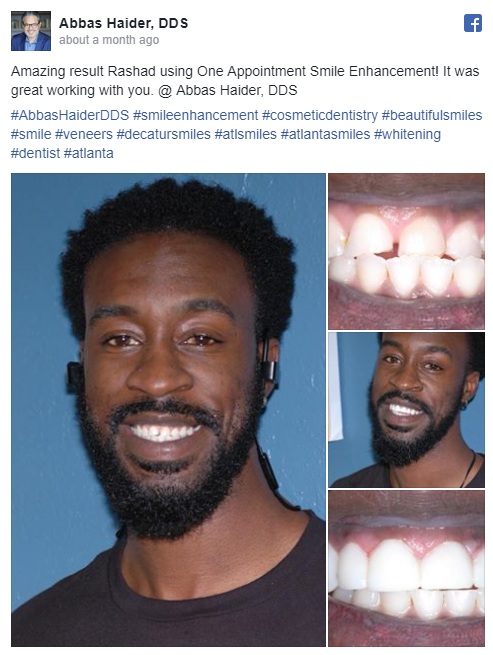 Get a taste for what patients think of our dentists in Decatur. We’re thankful for the kind words our patients have said over the years. Here are a few of the testimonials from our patients. 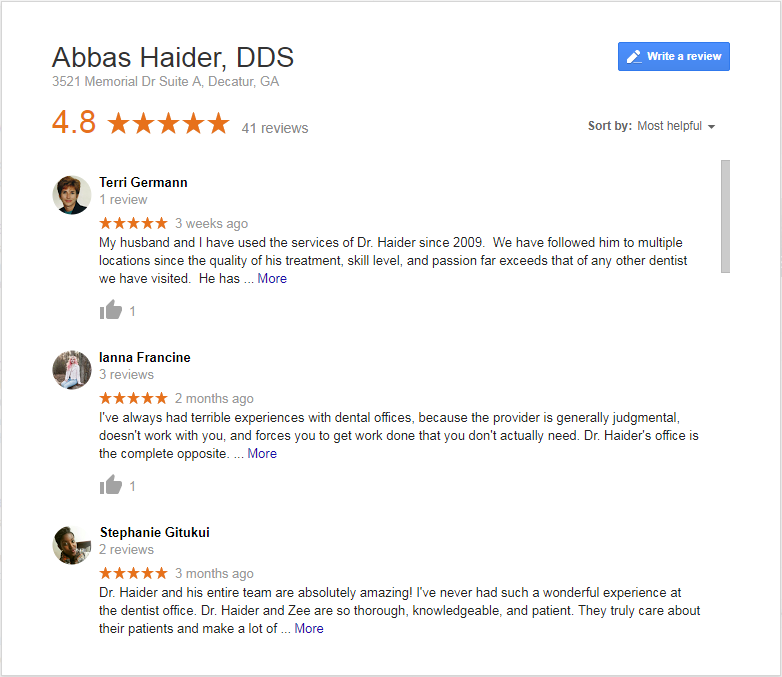 "Great experience I recommend this dental office the service is great the front desk staff is really helpful and Dr. Haider knows what he is doing and he makes you feel comfortable"
"Thanks again for being a genuinely good person and fixing a problem that other dentists had the ability to fix, but refused in lieu of cold hard cash. I had zero expectations of meeting a human being in the profession." "Very, Very happy with the dental service(s), professionalism and dental center overall. Finally, people that CARE! This is NOW our new dental provider...."Keep up the GOOD WORK!" Thanks, Sonja Smith - Mother of Desmond W."
"I would follow dr haider and this office staff anywhere! I appreciate their level of competence and the confidence it inspires in me. Thank you!"